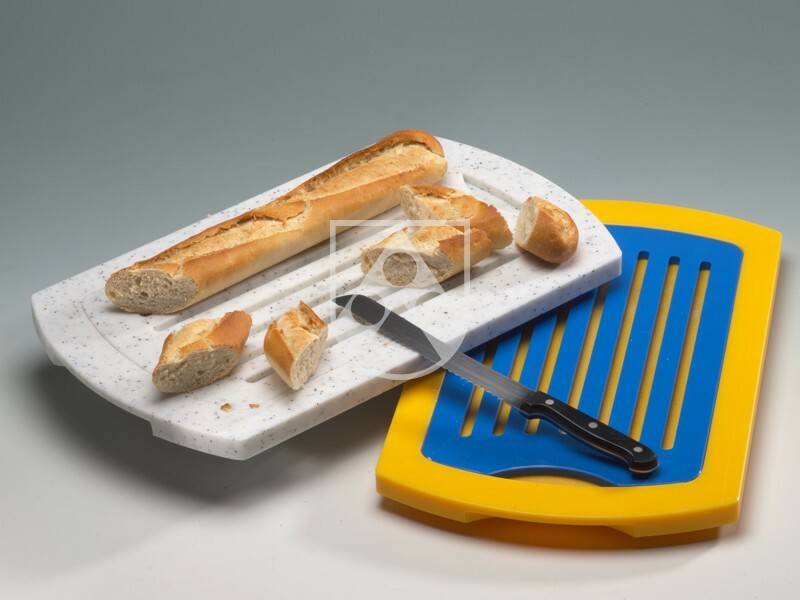 Hydroma® Quality Cutting Boards for food preparation are made of a high-grade synthetic material and correspond to the guidelines for the use of synthetic materials in connection with food. On customer's request we produce customized designs on modern CNC milling machines (juice groove, juice collector, blood gutter, grooves for all table systems) and assemble e.g. with anti-slip feet or metal handles. Hydroma® Quality Chopping Boards are produced in many standard colours. Other coloures are available on demand. Wie supply all common sizes and thicknesses.